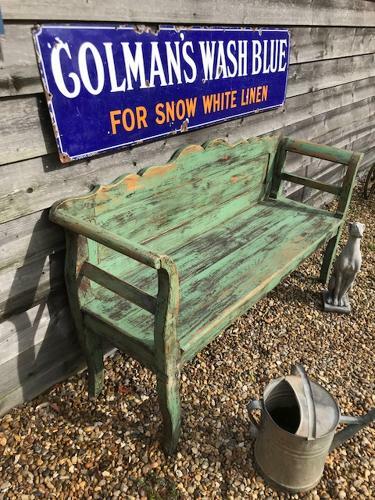 Antique smaller size Gustavian Bench in lovely original green paint. Curved sleigh arms. Would look lovely against a plain wall.